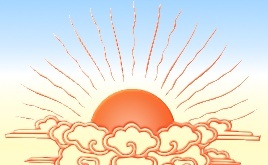 Description: Meditative awareness has three primary qualities: calmness, openness, and harmony. As we practice, we naturally become calm, relaxed, comfortable and we find that meditation is soothing and enjoyable. Readings, exercises, and mantras from Tarthang Tulku´s teachings: "Gesture of Balance", "Openness Mind", and "Hidden Mind of Freedom"
Description: The secret formula that leads to higher meditation is to not identify, take a position, or hold onto anything within meditation. This ´secret´ knowledge of meditation becomes a self-sustaining source of inspiration. Readings, exercises, and mantras from Tarthang Tulku´s teachings: "Gesture of Balance", "Openness Mind", and "Hidden Mind of Freedom"
Description: Working with emotions can be difficult, and it is tempting to imagine that there is another place where problems don´t exist. But this is your life, here and now. So whatever your situation and resource, body, mind, energy, awareness, use them fully right now, instead of wasting time caught up in emotional turmoil. Readings, exercises, and mantras from Tarthang Tulku´s teachings: "Gesture of Balance", "Openness Mind", and "Hidden Mind of Freedom"
Description: As our ability to visualize images improves, we gain confidence in the power of mind. With an empowered mind, we can creatively pursue all that is positive, while casting aside needless duplications of suffering and destructive thinking. Thoughts have less power as the light of awareness offers a safe haven. Description: Meditation provides the key for unfolding the secrets of our minds, as well as the means to relieve suffering and cultivate well- being and wholeness. CDs: Beginning Meditation - CD ME1, Deepening Meditation - CD ME2, Transforming Emotions - CD ME3, and Visualization and Mantra - CD ME4.